The maximum capacity of our cooking class is 12. The maximum capacity of our tapas tour is 8. We can also accommodate larger private groups in our two kitchens. Yes, we have free WIFI in the school. You don't need to bring anything with you. Just the desire to learn, have fun, meet new people and a large appetite. Do I need previous cooking experience? Not at all. We are here to teach you. You will meet people of all levels, from those who have never picked up a pan in their life, to the most experienced chefs. Don't hesitate to ask us if you have have any questions. If the class I want to take is full what can I do? Send us an email with the date and time of the class you wish to take and we will do everything we can to try and fit you in. We kindly ask that you inform us if your plans change and you will not be able to attend one of our classes. Cancellation of reservations for public classes with a 30% deposit will be refunded if the cancellation is made with more than 72 hours notice. With less than 72 hours notice no refund will be issued. In the case of events and private groups a minimum notice of 7 days will be required. Can you accommodate people with specific food restrictions? Please let us know when making a reservation and we will adjust our menu to your specific needs. Please make every effort to be on time. But in the event if you are arriving late, please enter the class quickly and take a free seat. At the first available moment, the chef will explain to you what the class is doing right now and what will happen next. In case you are late for the Boqueria Market tour – unfortunately we have to keep to a schedule of our planned activities and classes so we will not be able to wait. Can I eat what I cooked? Of course. You will enjoy what we have prepared together, accompanied by Rioja red or Albariño white wines, exclusively made for Barcelona Cooking. The wine is included in the price of the class. We will be very happy to welcome your children to the class. We are confident that they will enjoy it, as often they are the most curious and participate actively in class. Children ages infant to 3 years old: free; Children 4 to 13 years old: half price; Children 14 and older: full price. We do sell gift cards. Gift cards have a 12 month expiry date. 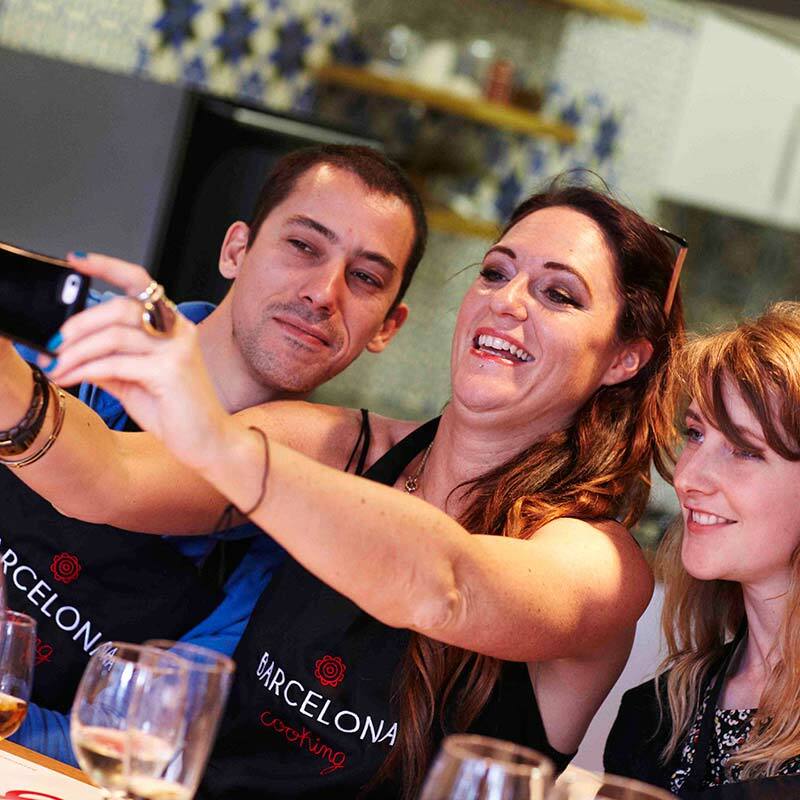 They can be redeemed at www.barcelonacooking.net in the classes and tours section where it says 'Do you have a gift code?' Refunds cannot be issued for gift codes. Are tips to the chef instructor included? No, tips are not included, nor expected. However, if the chef instructor has provided you extraordinary service tips are always welcome. What is your wheelchair accessibility? Our teaching kitchens are located on the 2nd and 3rd floor of a historic building on Las Ramblas. Unfortunately our building does not have elevators or is wheel chair accessible. We recommend that you come in comfortbale clothing and, most importantly, that you wear closed-toe shoes to minimise the risk of injury from sharp objects.